“How long did you say the engine sat idle?” What should be done to an engine to return it to service after it has sat idle for years? Answering that question requires the answer to several other questions: Was the engine preserved before it was put into storage? Was it stored in a climate controlled facility? No? Out in the weather? Were the exhaust stack(s) and carburetor air inlets plugged? Was the engine periodically run-up to operating temperature? Did it have preservative oil ran in the engine before entering storage? Change oil prior to storing an engine as old oil may be contaminated with acids & moisture that can cause corrosion or rust damage to expensive parts. Be sure to run the engine after the oil change to get the new oil circulated through the engine. Spray some oil into the cylinders, especially upper cylinders. Compression rings run pretty dry and can rust amazingly fast in storage. Plug up the exhaust outlet: Humid air / moisture can move past open valves! There are always some valves open at any given time and the moisture can cause corrosion or rust to intake valves and intake as well as exhaust ports. Engines being stored without full preservation should be turned through each week. Call us for information or supplies needed for preserving your engine! Geared Nose 1340 on our Run up Bus. There isn’t any other sound that is better than that of a #radial engine! Engine preservation for the radial engine, if done right, isn’t a subject that I can adequately address in a few quick lines! In respect to those instructions refer to a copy of the manufacturer’s maintenance manual, part number 118611, Engine Preservation chapter. My engine has 1100+ hours on it, and last flew in Jan 2016 on a 3 hour trip. I decided to do some preventive maintenance which required draining the old oil (it was time) and removing the oil cooler, and sent out some parts. Time passed and the annual came due, but the parts had not come back. We did a cold compression check and one cylinder had zero compression, so we replaced it with a repaired cylinder I had available. Since the plane was in a heated hangar, and I didn’t want to hook everything up until the parts came back, I left the plugs out. Some nincompoop inadvertently activated the water dump fire suppression system in the hangar and soaked everything. I don’t think water got in the engine. When the parts finally came back in July, I reassembled everything and put in fresh new AeroShell W100 oil. I usually motored the engine without the plugs to bring up oil pressure, but this time, I could not get any pressure reading on the gauge. I put in the plugs and started the engine, which started ok, but with no oil pressure reading after 20 to 30 seconds, I shut it down. We hooked up a direct-pressure gauge and tried motoring it again to make sure it wasn’t the aircraft gauge, but still no pressure. I think maybe the oil pump cavitated after sitting drained for so long, so I’ll try to pre-oil it to see if it will get pressure. Is there anything else you would recommend? Sometimes, our best intentions come to naught. If I had planned to have the engine idle for 5 months, I would have prepped it. But believing the on-going promises of “next week for sure,” time passes and things go to hell. 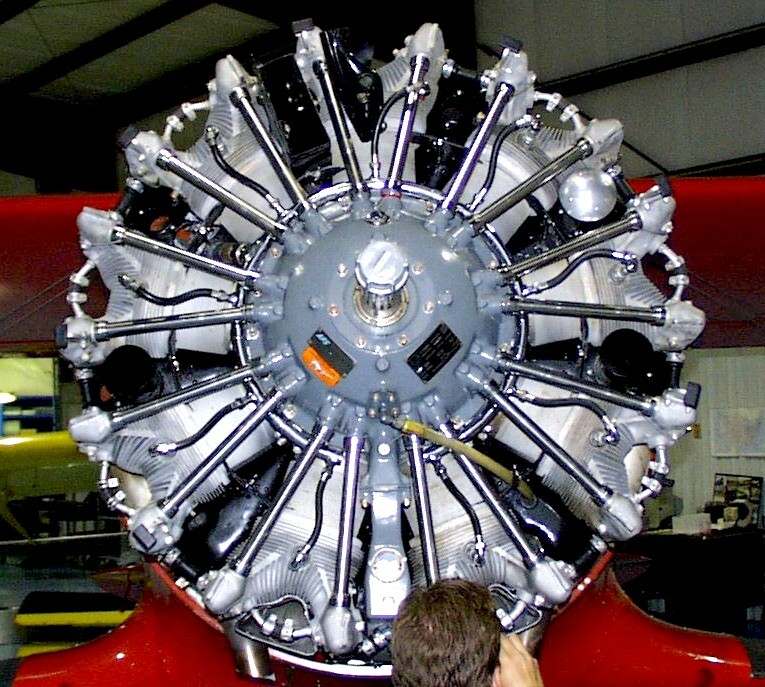 Thanks for these tips for short-term radial engine preservation storage. You mentioned that It’s important to change the oil before storing. It also seems like a good time to look at the engine to see if there’s any issues that should be addressed.